THURSDAY, March 16, 2017 (HealthDay News) -- No matter how often teenagers are told to drive safely, some might not heed that advice until they are involved in a crash, new research suggests. The study included 254 teens, ages 16 and 17, who were participating in a driving study. Their cars were equipped with cameras and a device to measure acceleration, and researchers analyzed their driving habits. The investigators found that among teens who were involved in a severe collision -- defined as "police-reportable" and causing major damage, airbag deployment, injury or a rollover -- there was an immediate change in their driving habits. Rapid acceleration -- a sign of risky driving -- dropped by 34 percent, the findings showed. After about two months, instances of rapid acceleration tended to rise again, but stayed below pre-crash levels, according to the study published in a recent issue of the journal Psychological Science. The findings suggest that being in a serious crash may prompt teens to drive more safely, the study authors said in a journal news release. "Crashes are not a good thing and every driver should try their best to avoid having one. But our research did uncover a positive aspect to an otherwise negative occurrence," said lead researcher Fearghal O'Brien. He is a lecturer at the National College of Ireland and conducted the study as a postdoctoral fellow at the U.S. National Institutes of Health. "Our data showed that elevated acceleration events -- including rapid turns, stops and other aggressive maneuvering -- were higher among those who later crashed compared to those who did not. But these rates declined for at least two months following a crash, indicating safer driving behavior," O'Brien reported. The improvement began within days, he noted. "The finding suggests that young drivers learn from the feedback from a crash," he added. 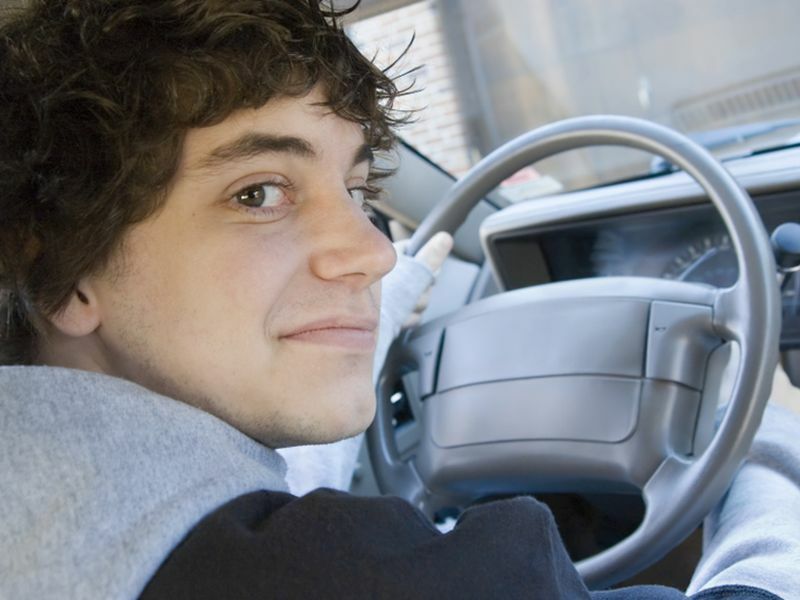 More research is needed to find out how long the changes last and to develop "safer ways to get them [teens] to correct their risky driving behaviors," he said.